Whether you’ve migrated some or all of your infrastructure to the cloud, or are still considering the move, you should be thinking about security. Too often, organizations assume a certain level of protection from a cloud service provider and don’t take steps to ensure applications and data are just as safe as those housed in the data center. The sheer range of cloud technology has generated an array of new security challenges. From reconciling security policies across hybrid environments to keeping a wary eye on cloud co-tenants, there is no shortage of concerns. An increasingly complex attack landscape only complicates matters and requires security systems that are vigilant and able to adapt. Here are nine tips to consider before, during, and after a cloud migration to stay ahead of the curve when evaluating security solutions for your cloud service. Shadow IT – Security and DR concerns? According to Gartner, on average, 28 percent of IT spend occurs outside the IT department today. IT behind IT’s back, commonly called shadow IT, is primarily driven by easily available cloud services. Mobile growth and work shifting practices enables the shadow IT further with employees’ desire to work from anywhere. Shadow IT are typically services and applications that an organization’s IT department has had no role in selecting or vetting, and IT may not even be aware that these services and applications are being used within the network. Convenience and productivity are often the drivers for adopting shadow IT. Employees deploy solutions that are not approved by their IT departments and many times, the reasoning is that going through the traditional route for approvals is too complicated or time consuming. So, let’s say you are up to no good and motivated to attack somebody or some organization. After somewhat thoughtful considerations you decide you are going to launch a cyberattack to render your victim unavailable or to extort some sort of action or ransom. However, you have a big problem to solve – – how do you get around today’s most popular Cloud Security Scrubbing Businesses? Cloud-Based or Provider-Managed DDoS Mitigation: Which is Right for Your Organization? 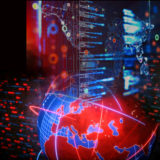 Two facts are changing how companies think about DDoS mitigation: DDoS attacks are more frequent than ever and are increasingly easier to initiate from anywhere in the world. Simply put, the days when firewalls and a large enough pipe to the internet were enough to protect your network have long since passed. 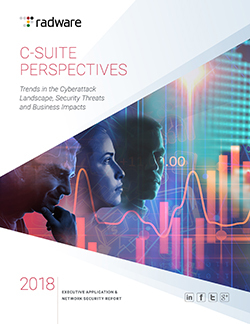 Any organization or website is a potential target, and with high odds of a given attack flooding homegrown defense tactics, most companies are moving their mitigation tools offsite. The cost of downtime – upwards of $9,000 per hour for small businesses and $690,000 for large companies – are just too great to risk going it alone. Static Cloud Security Is Obsolete; Long Live Continuously Adaptive Cloud Security! Successfully protecting against web-based attacks is like trying to win a game that keeps changing its rules all the time… only nobody tells you what the new rules are! Static cloud security services cannot help you win the web security game. Only cloud security services that continuously and automatically adapt to the rapidly evolving threat landscape and protected assets can assure you are well prepared to anything that will be thrown at you… even as the rules continuously change!